I practice gratitude on a daily basis. I’ve been doing it for a really long time. I started long before my husband and I got married and, in turn, before our awesome son was born. I mention them, because these days they are what I am most grateful for. But my life wasn’t always so full. I remember when I started my first gratitude journal. It was over ten years ago. More like fifteen. I remember reading about gratitude in some Oprah book. I was in between gigs (which always led to some level of anxiety and uncertainty within me). I didn’t have a stable relationship with the man I was “dating.” I knew, somewhere in my gut, that the relationship had no real future. I was in my thirties. Divorced. I didn’t own my own home yet. My family was wonderful, but they all had their own lives. I was on the slow boat to figuring it all out. 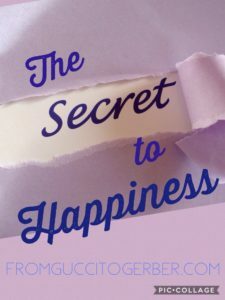 In fact, I remember wondering, if I ever really would know what true happiness was all about. I recall feeling like I needed to try something to get my head in the right place. Writing a list of five things I was grateful for each day seemed pretty painless. And according to Oprah, it was uber powerful. I decided to do it. I know it may sound ridiculous to those who have never tried it. But this simple practice actually changed my life. I started slow. I had to think to name those five things everyday. Somedays it would be things as simple as the clean water I get to drink, or the beautiful weather. I actually started seeing the world around me in such a different way. Roadblocks became opportunities. I learned to appreciate what was right in front of me instead of always looking to the next thing. My focus throughout the day became looking for the positive things I could add to my list. And day after day my gratitude grew. My attitude shifted and my heart became happy. My inner voice became clear and loud within me. Gratitude didn’t just change my life, it changed me. This Thanksgiving I am filled with gratitude for all I have in my life. These days naming five things is a breeze….my daily list could fill pages and pages. But in the spirit of honoring this simple practice that I believe in so wholeheartedly, I will make a list. Five things. 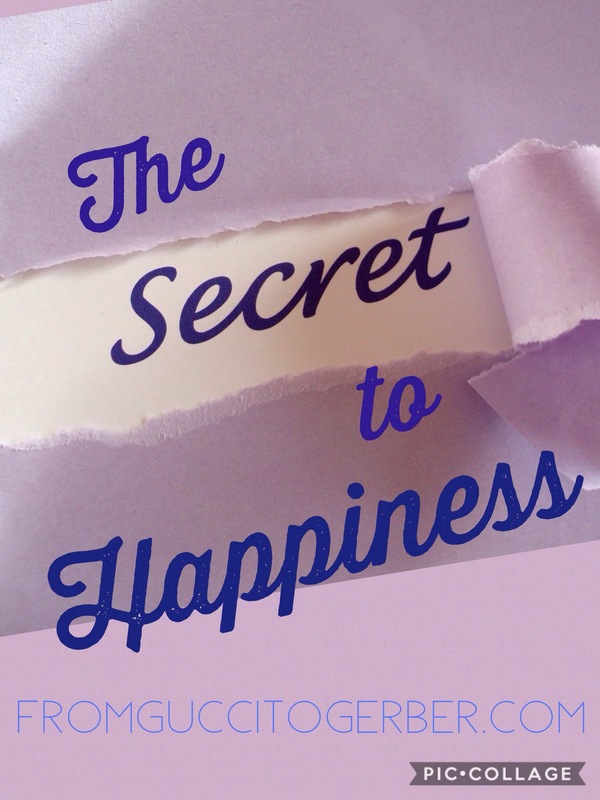 It’s the secret to happiness. I promise. This entry was posted in Day to Day Survival, Wise Words? and tagged five things, Gratitude, lists, mommy blog, motherhood, thanksgiving. Well, I don’t know about you, but this holiday weekend has left me completely wiped out. We hosted Thanksgiving dinner for 10 people and a dog, had my parents visiting with us all week, and had our bathroom remodel project commence. Well, just about. There are a few things the contractors still need to attend to. Getting them back here is going to be a headache for sure. Ugh. I am digressing, as usual. Suffice it to say, I’d like to take a long long bath in our new tub. That’s a great idea. Of course, all the happenings I just listed were all fraught with bumps and hiccups. Isn’t everything? 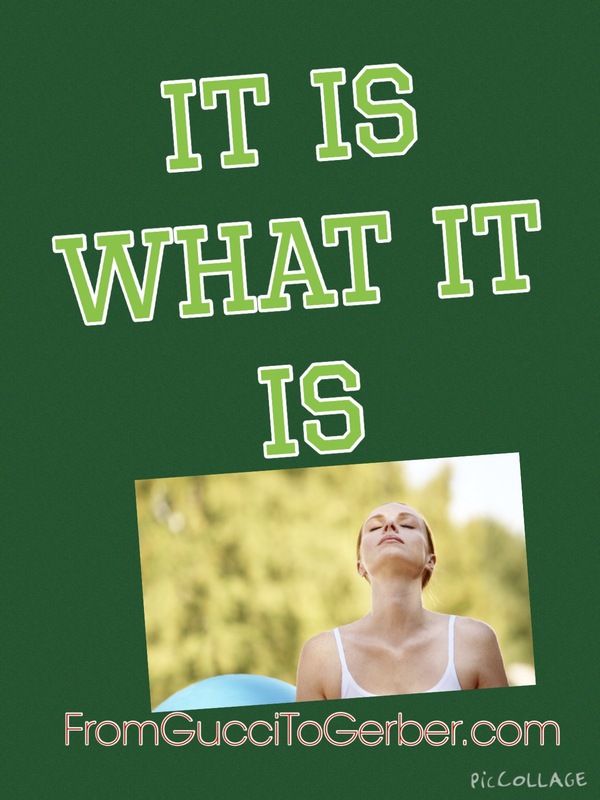 I kept the phrase, “It is what it is,” going around in my head like a mantra. Cause it’s just the truth. Nothing turns out like you wish it to. You can plan your Thanksgiving dinner for 4pm, but, if you are us, it’s more like 6pm. You can try your hardest to please people, but, if you are me, you usually wind up disappointed at the response. And you can expect a certain level of workmanship from a craftsman, but if you are a perfectionist like me, their work most likely will come up short. I sound like I’m whining. I’m really not. It’s just an exhausted response…but in my heart of hearts I know it is what it is. The same goes for our project sibling. No success with conception to date. While the “trying” is fun, it’s also exhausting. After two months of no bun in the oven, I am getting the feeling that it may just not happen. I promised myself I would be ok with it. But, of course, I feel the pang of disappointment, even if I am keeping it in check. I think it’s harder to see the look of disappointment on my husband’s face. It’s was so easy last time, I think he thought it would happen just as quickly the second time around. But I know that my body is 2 years older than the last time. I can feel the difference in my body, though no one might be able to see it. Do any of you gals in your 40’s or higher know what I’m talking about? It’s so strange. It’s like aging starts to accelerate from within. It’s totally weird. So I truly leave it up to God and the Universe. It is what it is. And it will be what it will be. I find the lack of my ability to control the outcome oddly comforting. I’m glad it’s not up to me. I get to sit back and wait and see what happens. I get to have Faith. I get to Trust in something greater than myself. 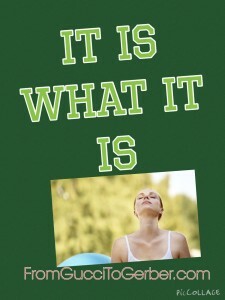 I get to say, “It is what it is” and mean it. And I am reminded everyday that I am not pregnant, I am so so lucky to have the beautiful child I do have. Until next time, enjoy your left overs and remember, behind every great kid is a mom who is pretty sure she is messing it up. I’m going to soak in a hot tub with a glass of Pinot Noir. Thanks so much for reading xo. This entry was posted in Conception at 45? and tagged advanced maternal age, conception, mommy, mommy blog, motherhood, older mom, parenthood, thanksgiving.